Becoming a ‘go to’ advisor in banking in your market (or nationally if that is your desire) requires an investment, a dedication, and a platform to display your expertise. 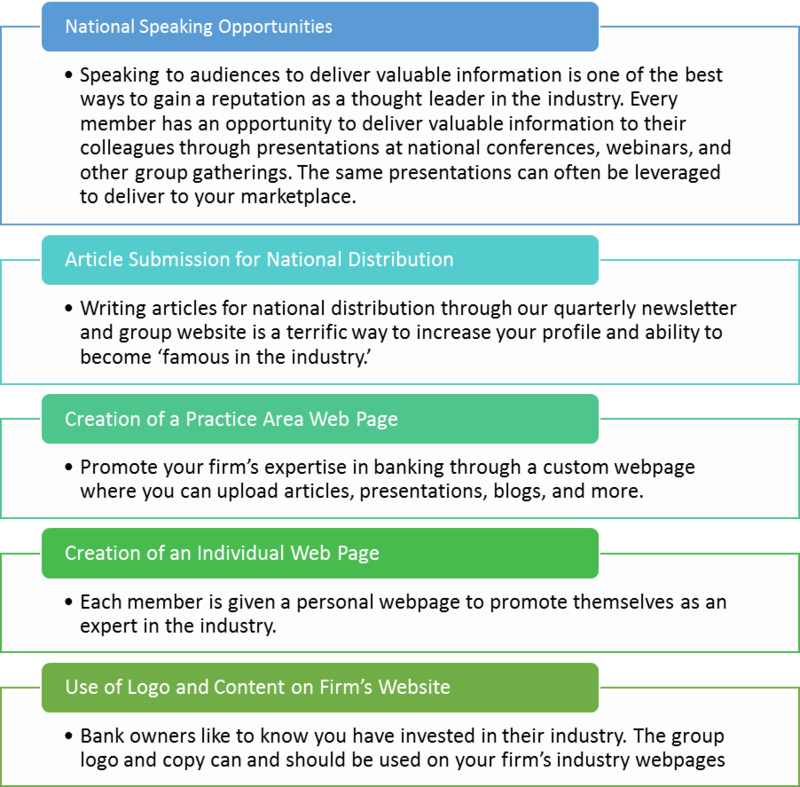 Membership in the Banking CPAs provides unique opportunities, and a stage, for you and your team to create and deliver content, increase your stature among other professionals, market your services, and reveal your passion to industry stakeholders. Click Here to access the Lead Generating Website Guide for professional service firms.